Everyone desires to have well-groomed hands with supple skin and clipped, neat nails. But sometimes, hangnails can develop making your hands look untidy and shabby. Hangnails are small pieces of skin that remains attached to the side of the nails.They snag on fabrics and are generally painful. They are generally caused due to dryness and over-washing of hands. They can also be a result of biting or picking your nails. People who do not moisturize their hands adequately might suffer from this condition.Although it is not a life-threatening condition, it can lead to bacterial or viral infection of the skin. 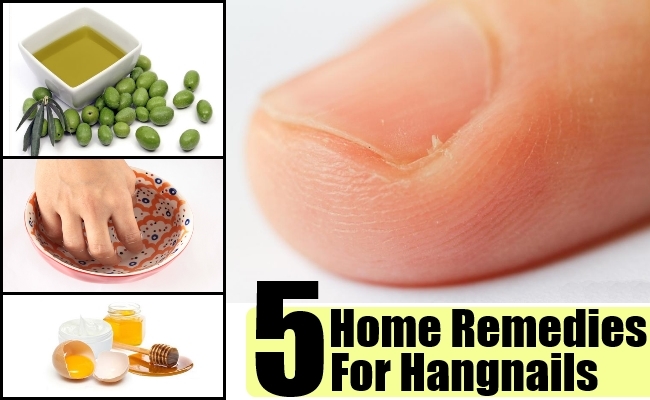 There are quite a few home remedies that can help to cure hangnails. Here we list a few of them. Warm a tablespoon or two of extra virgin olive oil. 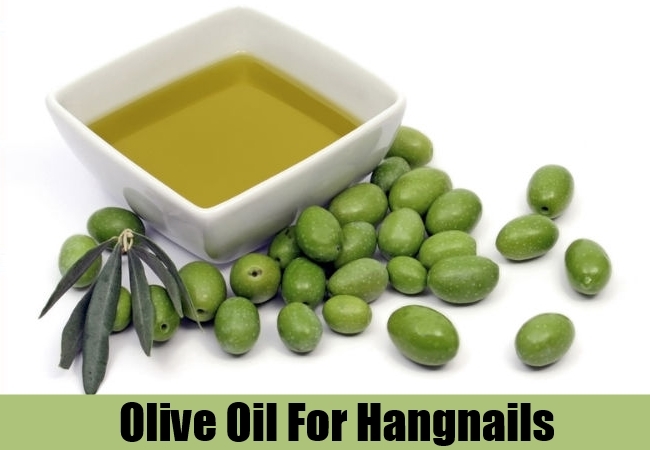 Soak a cotton bud in the warm olive oil and apply this on your nails.Now dip a clean hand towel in warm water and squeeze out the excess water. Wrap this towel around your hands and leave it on for 20 minutes. Olive oil contains hydrating properties which will help to soften the skin. Take some warm water in a bowl and add to it a tablespoon of pure almond oil and a few drops of lavender essential oil. Soak your hands in warm water for about 8-10 minutes. Remove your hands from water and pat dry with a soft towel.The hot water and almond oil will help to soften your hand and make it less prone to dryness and chapping. Now, clip the hangnail with a pair of sharp and sterilized cuticle scizzors. Whip up an egg yolk with a tablespoon of pure organic honey until you have a creamy mayonnaise like consistency. Add a few drops of rosehip essential oil to make this concoction smell good. Now slather on this natural hand mask on both your hands, rubbing it well around your nails. Wear clean cotton gloves to prevent the mask from dripping. After half an hour, remove gloves and wash with water. Egg yolk contains essential proteins that help to repair hangnails and honey helps to moisturize the skin keeping it soft and supple. Soak 5 to 6 almonds overnight in a glass of water. The next day, grind the almonds with a bit of rosewater until you have a thick and fine paste. Apply this on your fingers, making sure that you rub it carefully around your nails.Be gentle while doing this or you may end up pulling the hangnail from the base. After 10-15 minutes, wash your hands with water. In a blender, whiz half a ripe avocado along with 4 tablespoons of coconut cream. You will have a paste with very thick consistency. If the paste is too thick, loosen it up by adding a bit of water. Wash and dry your hands and then slather in this avocado and coconut cream moisturizer. Avocados contain omega 3 essential fatty acids and coconut contains linoleic acid that will help to soften dry skin and prevent hangnails.These were a few natural remedies for getting rid of hangnails. It is essential to keep your hands and nails clean and well moisturized to prevent hangnails.